Can a woman who overcame her food addiction help the U.S. break its addiction to fossil fuels? And with Pope Francis expected to make a major statement on climate change this year, what could be more timely than appealing to people of faith? Rev. Margaret Bullitt-Jonas shared her evolution from overachiever and food addict to Episcopal priest and climate activist at a class at the University of Massachusetts Wednesday. She was a graduate student at Harvard in 1982, hiding her propensity to binge, when she finally made peace with her body, she said. “Addiction cuts you off from your body because you’re not listening to what your body needs,” she said. “I had crashed and burned at Harvard, and it was a choice of life or death.” She describes the experience in detail in her book, Holy Hunger. She went to seminary and was ordained in 1988. 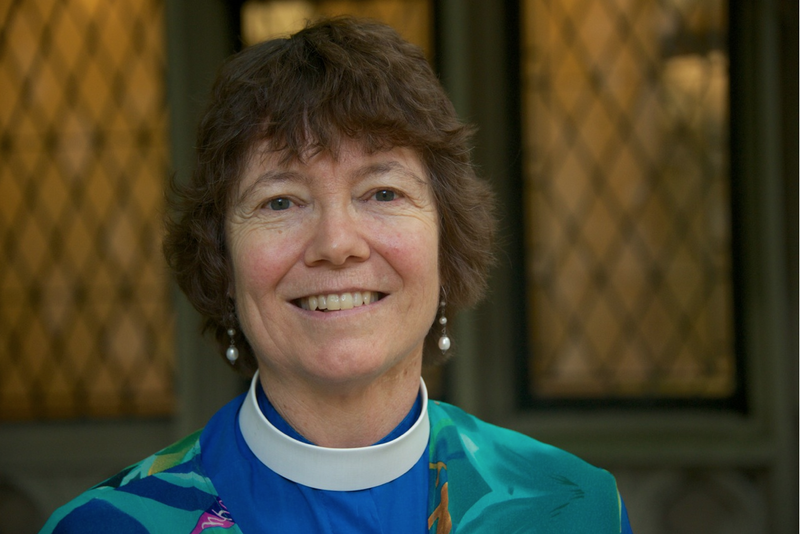 The next year, the Exxon Valdez disaster spilled millions of gallons of oil into the water off Alaska, and Bullitt-Jonas gave her first sermon about Christians caring for the Earth. Afterwards, a woman said she didn’t get the connection between religion and ecology. Bullitt-Jonas has been answering that woman ever since. She was a parish priest for 25 years, including 10 years at Grace Episcopal Church in Amherst. Just over a year ago, she became the “missioner for creation care” (a title she created) for the Episcopal diocese of Western Mass. In this role, she leads retreats, preaches at churches, meets with faith groups and moderates discussions about climate change. Christianity lost its connection to nature and the body, yet its essence is God taking the form of human flesh, she said. Humans aren’t separate from the natural world but are integral parts of it, she said. “If I can make peace with my body, is it not possible that we as a species can make peace with the Earth?” she said. Bullitt-Jonas is inspiring Episcopalians to become more earth-friendly. She wrote an article for an Episcopalian web site that begins, “The intricate, beautiful natural world into which you and I were born is undergoing massive and unprecedented assault.” Read the article here. Bullitt-Jonas, who lives in Northampton, is finding that climate activism draws diverse groups together, including people concerned about asthma, public health, poverty, immigration and human rights. She’s involved in planning a march in Springfield on April 19 to ask the mayor to fund a position of sustainability coordinator. “It’s a unifying foundational issue that can draw many people together,” she said. For more information about Margaret Bullitt-Jonas, check out her web site. Nick Grabbe was a newspaper editor and writer for 40 years. He retired in 2013. He has always had a passion for simple living, gardening and cooking. Betsy Krogh was a stay-at-home mother, graphic artist and community volunteer. 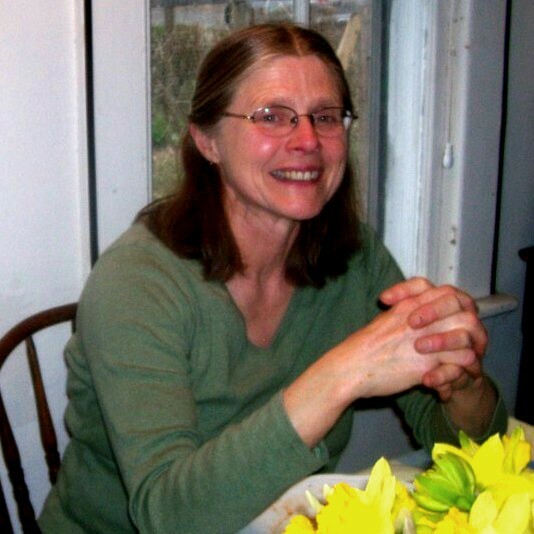 She is currently a student of permaculture and herbalism, a climate activist and churchwoman.